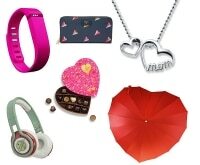 There are so many ways to show your spouse, your children, your friends, and your neighbors how much they mean to you on Valentine’s Day. 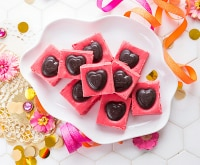 Candy, flowers, and notes of love are the traditional ways, but I also like to add a little love all day long by creating fun foods to share that everyone loves! 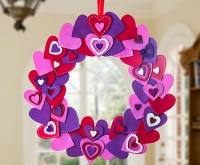 Best of all, I can add a special touch to everything from sandwiches, cookies, pancakes, and even fruit by shaping it into hearts or using the colors of the holiday to show my appreciation for them all week long. 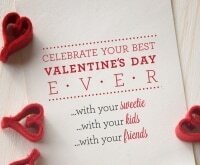 If your kiddos (or hubby!) 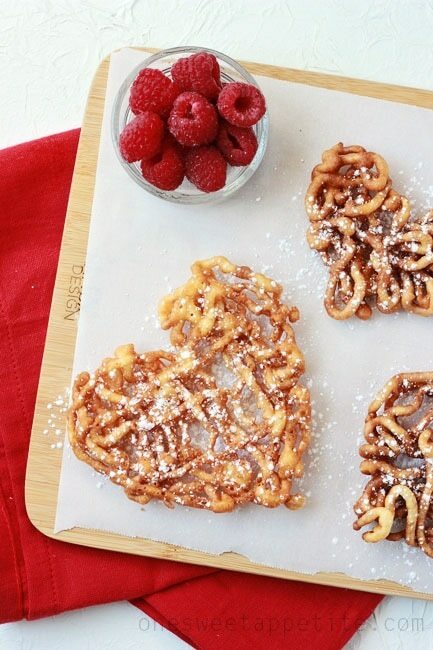 would be thrilled at the sight of special Valentine’s Day sandwiches or my famous Valentine Pancakes, check out these delicious and festive heart-shaped food ideas! Do you have someone in your family with food allergies? Don’t leave them out of the fun! 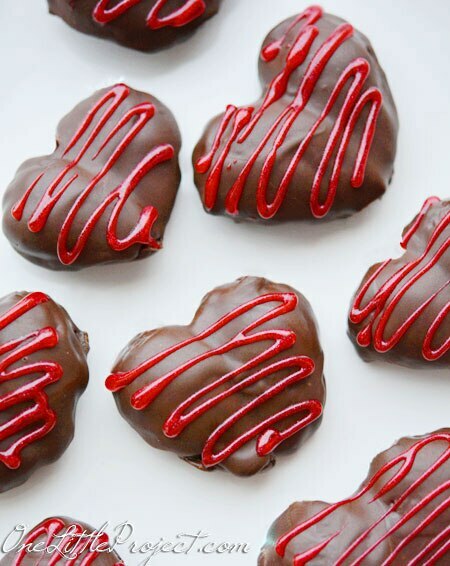 Serve up these delish and allergy-free Valentine’s Day treats — or go all out with our Valentine’s Day dinner menu on a budget! 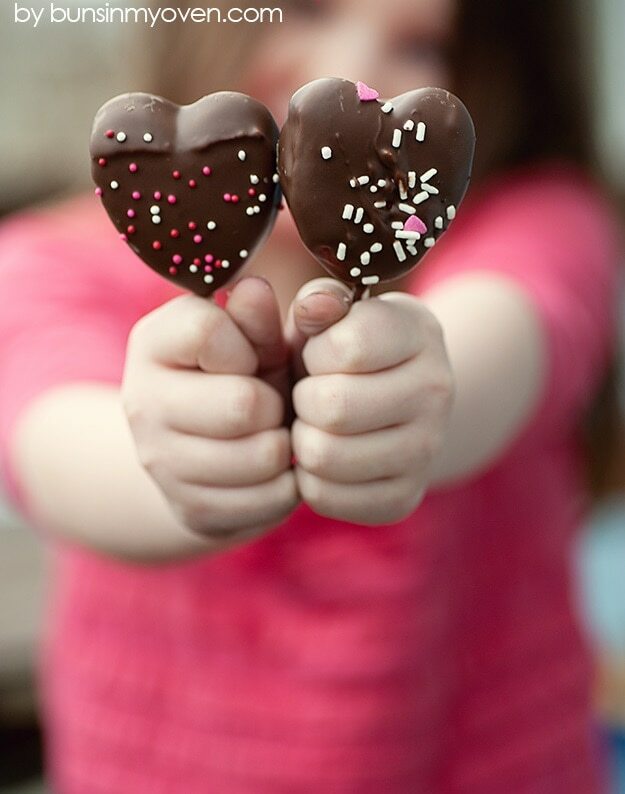 Truth be told, serving heart-shaped cookies to my kids is one of my favorite ways to say “I love you” around Valentine’s Day. But as a busy single mom, I don’t have all day to slave away in the kitchen. A while ago I found this five-ingredient cut-out cookie recipe that always comes out perfectly. It takes less time to make them than it does to decorate, but we all know the decorating is the best part anyway! Mix the dry ingredients together, add the wet ingredients, cover, and refrigerate for 2 hours or more. Pull out the dough, preheat your oven to 350 degrees, and flour the area where you’ll roll out your dough. I find it easier to press the dough out and then roll with a flour-dusted rolling pin. 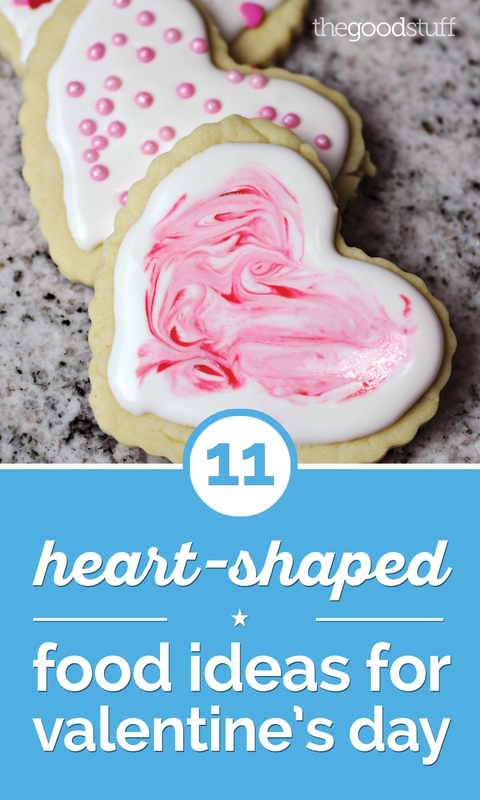 Once your dough is rolled out, use heart-shaped cookie cutters to cut your cookies out. Bake 8 minutes or so. I pull them out before the edges are brown for the softest cookies. 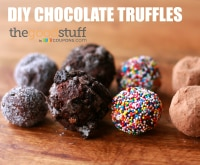 Let them cool and then use cookie icing and decorations to make them yours! It doesn’t take much to add a little pink color to pancake mix. Just add a few drops of food coloring and mix it in. 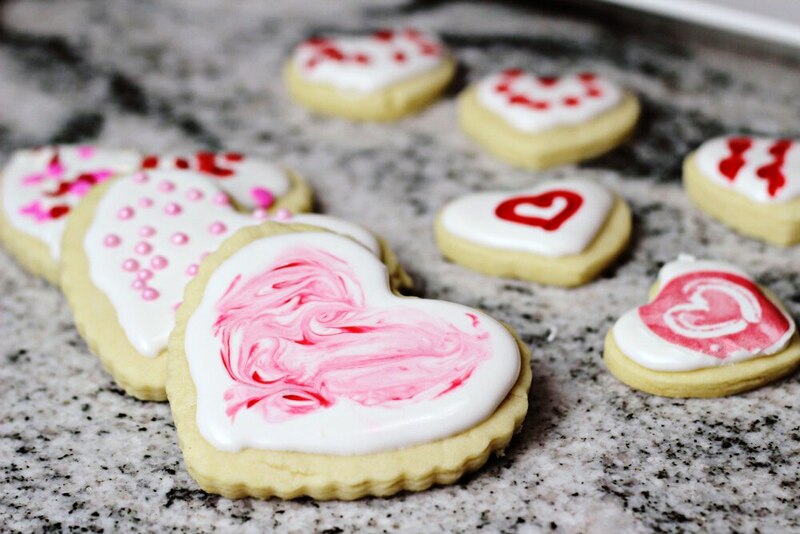 Use a heart shaped cookie cutter to make your stack full of love, then create a delicious syrup that’s so much better than those from the bottle! The food color trick can even be used to give homemade breads, cookies, and even oatmeal a touch of pink. If you don’t like red dyes of any kind, try beet juice to add color instead. 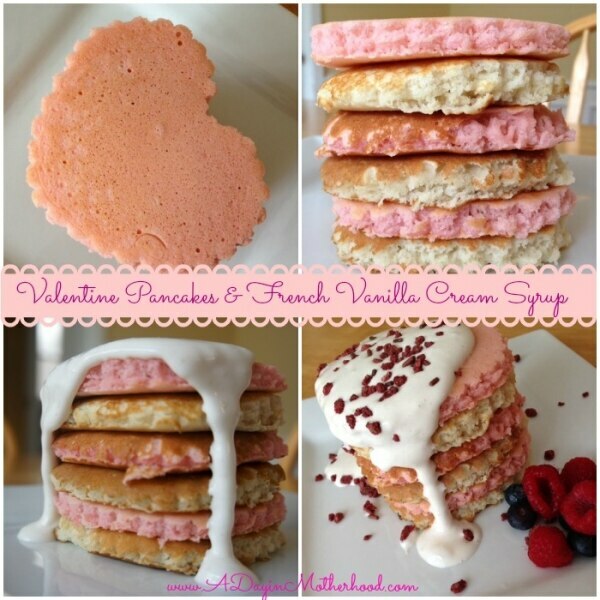 Whip up a batch of Lori’s famous Valentine Pancakes and save with coupons for Bisquick® and Krusteaz® pancake mix! Creating fruit kabobs with cantaloupe, watermelon, and any other melon is a great way to serve love the healthy way! 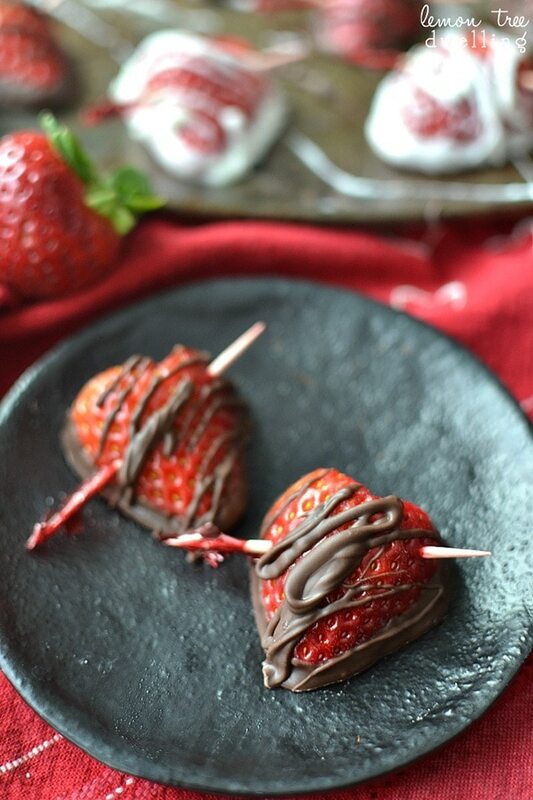 I personally love cutting strawberries in half and dipping them in chocolate. Make it easier by sticking a toothpick through the strawberry to make it stay together! Pull it out before the chocolate dries, though! 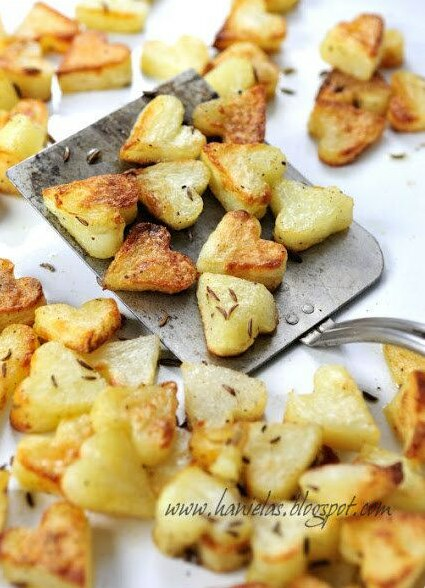 I love the idea of cutting veggies like sweet potatoes and eggplant into hearts before roasting them. What a fun addition to a grilled chicken dinner to make everyone in your family feel special! You can really play with the flavor of the veggies and add color with seasonings, too. 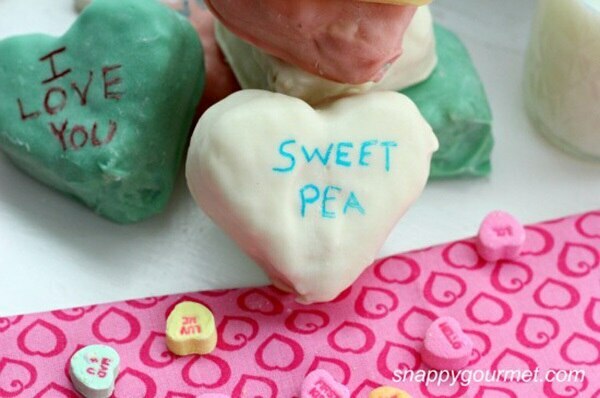 Marshmallowy strawberry Peeps® hearts get dipped in a chocolate bath to create this delicious Valentine’s Day treat. Add some pink, red, and white sprinkles and share them with family! Keep an eye out for some Peeps® coupons for some super sweet savings! 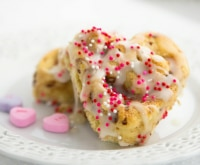 Fair food is one of my true loves and it gets even sweeter when it’s made in the shape of a heart. You can have these ready in no time, too! 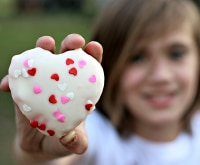 It’s just not Valentine’s Day if you’re not munching on conversation hearts! 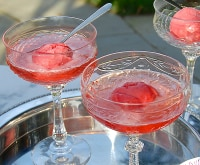 This recipe is a fun twist on that classic candy. We’ve cooked up a Kelloggs® coupon or two to help you save on your Rice Krispies®! Nothing says “I love you” more than pie, especially when it’s filled with strawberries and Nutella®! 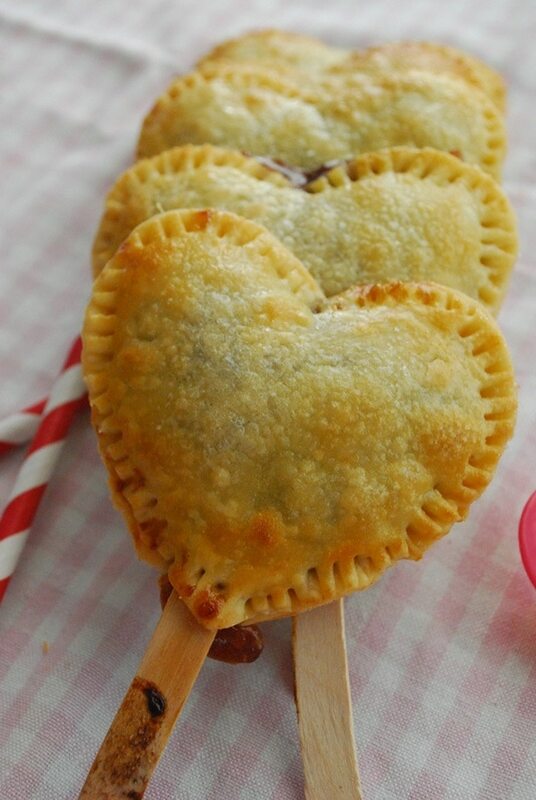 These little pie pops couldn’t be more sweet if they tried. Who could say no to more pie? 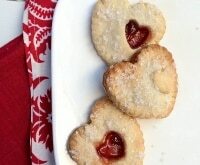 Our recipe for mini cherry pie bites is a keeper, and you can add a Valentine’s Day touch with heart-shaped cookie cutters! Keep an eye out for Nutella® and Smuckers® coupons, the perfect combo for a sweet pie-pop filling! 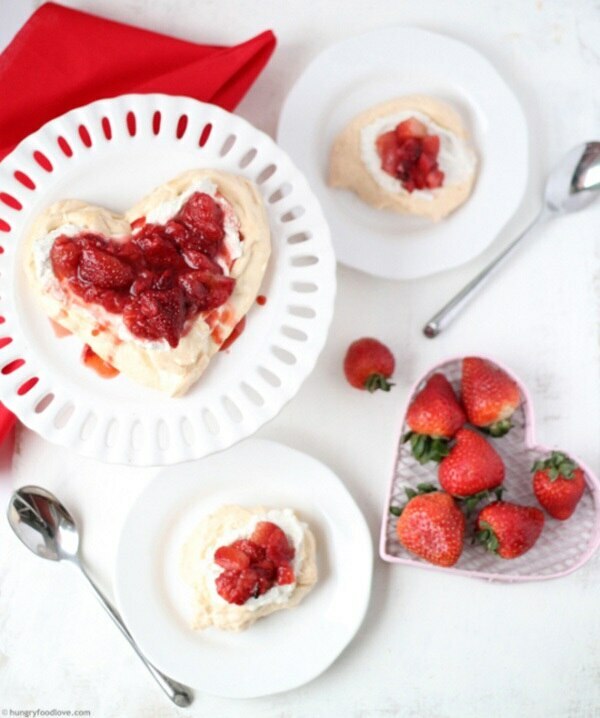 Crunchy heart-shaped meringue, creamy whipped filling, and ruby red roasted strawberries make this a perfect Valentine’s Day dessert that is sure to impress. Everyone loves a chocolate-dipped strawberry, but this second take on the classic even has a toothpick arrow to complete the love-struck look. 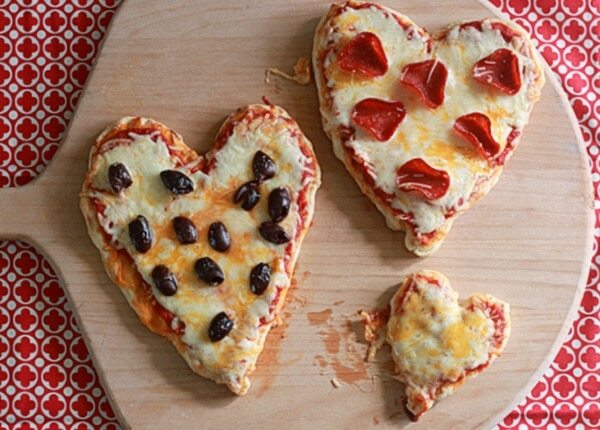 Just in case you want to take your heart-shaped foods out of the dessert realm and into dinner territory, these individual pizzas are a fun meal that any pizza lover will enjoy. Add a dash of easy and use Pillsbury® refrigerated pizza crusts.